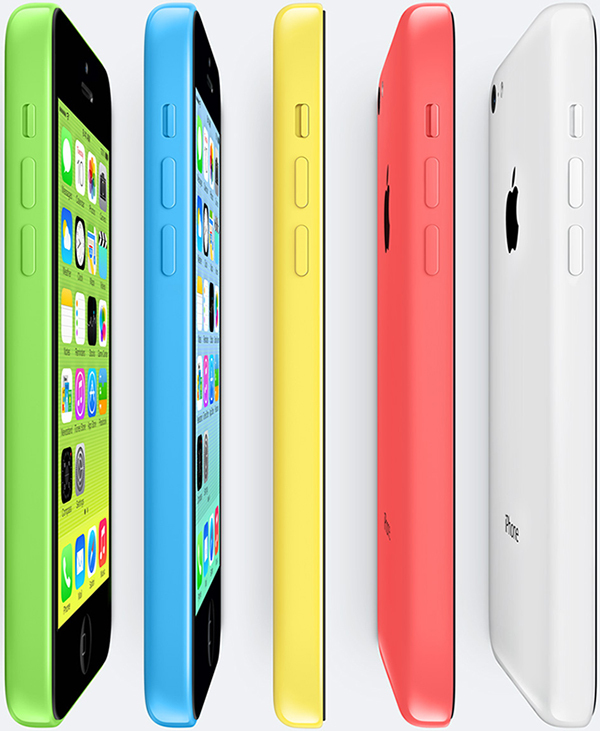 Behold, Apple's colorful new iPhone 5 replacement. The iPhone 5C is Apple's new colorful, polycarbonate-made iPhone with a 4-inch Retina display, 4G LTE support, an 8-megapixel back-facing camera, an improved FaceTime HD camera with larger 1.9u pixels and backside illumination all powered by an A6 processor. Yes, the iPhone 5C's internal hardware is basically an iPhone 5 covered with hard-coated polyarbonate. It's also cheaper, the iPhone 5C will be available in 16GB and 32GB storage capacities for $99 and $199, respectively - with a two-year contract. With a steel reinforced chassis that doubles as an antenna and seamless solid unibody polycarbonate construction with a rounded designed, the iPhone 5C features 1080p HD video recording at 30fps with a built-in LED flash, Lightning connector, up to 10 hours of battery life on LTE/WiFi browsing as well as video playback and 10 hours of 3G talk time. The iPhone 5C is slightly thicker and heavier than the iPhone 5S coming in at 0.35" thick vs the iPhone 5/S' 0.30" thickness. 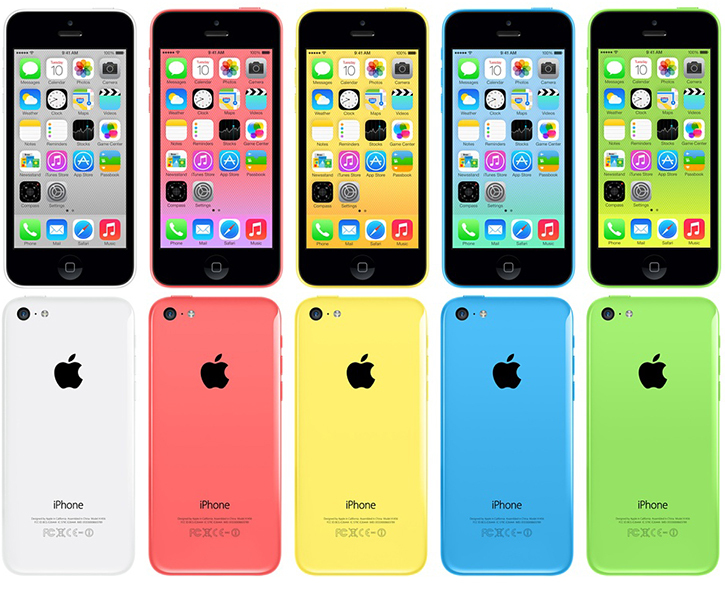 Available in green, blue, yellow, white and pink (not red), the iPhone 5C will be available to pre-order starting this Friday, September 13. Off-contract and unlocked 16GB and 32GB iPhone 5C models will set you back $549 and $649, respectively. Not as low-cost as we had hoped.